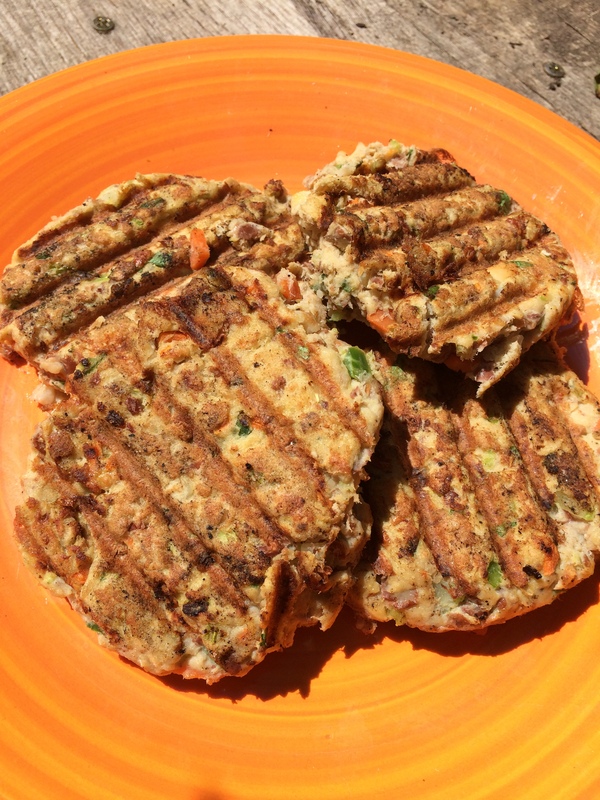 If your heading to the beach this weekend and want to make a quick, healthy snack that doesn’t require turning on the oven, take a few minutes to get some ingredients out of the pantry and turn them into some sweet or savory treats. Use these ingredients or feel free to add some new ones of your own and let me know how you like them! 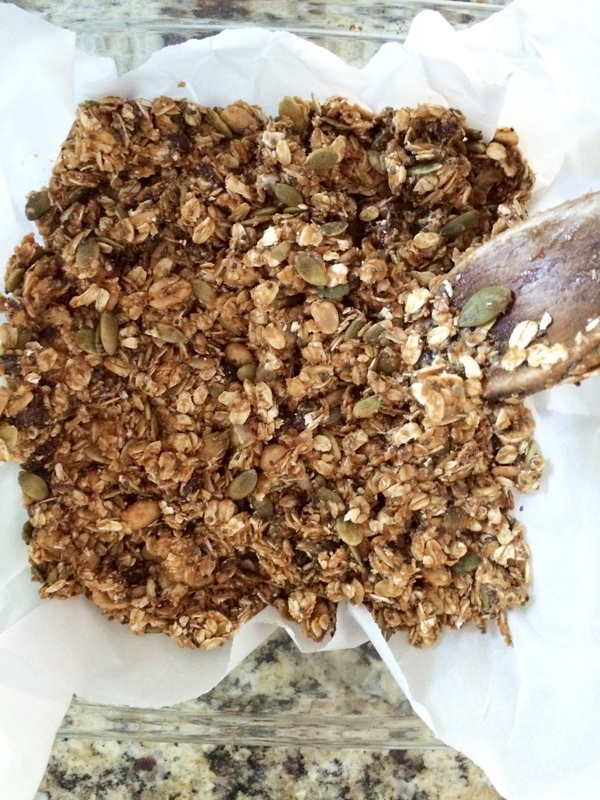 This recipe was adapted from Food 52’s Five Minute, No-Bake Vegan Granola Bars. 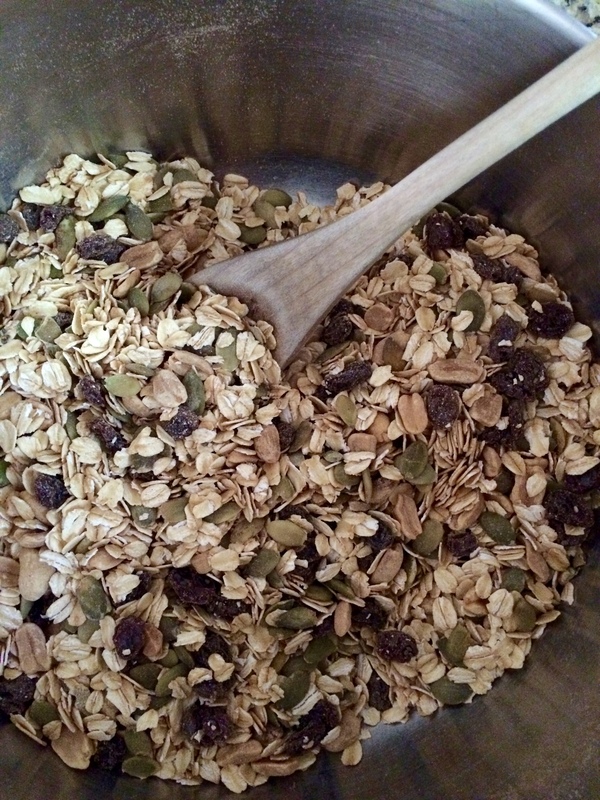 Mix oats, pumpkin seeds, peanuts, raisins, chia seeds, cinnamon, and salt together in large bowl with wooden spoon. 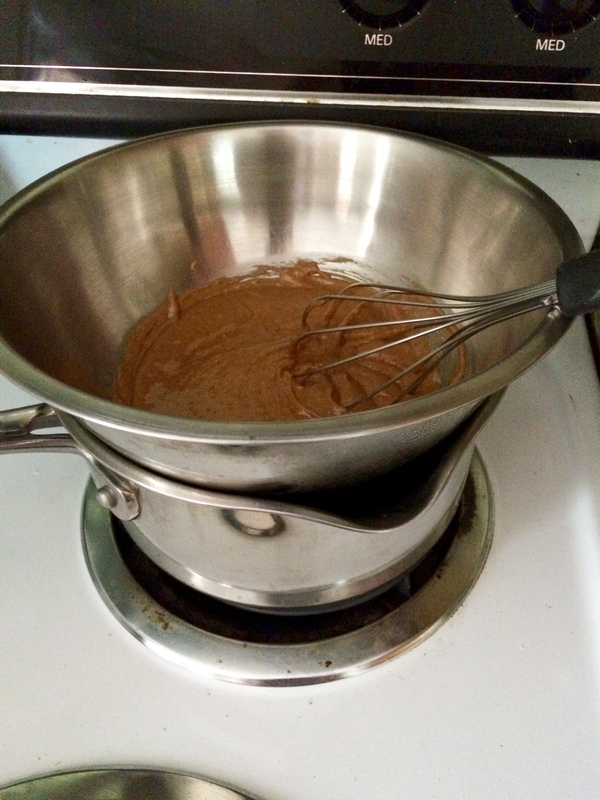 Use a double boiler and gently heat the peanut butter to soften. 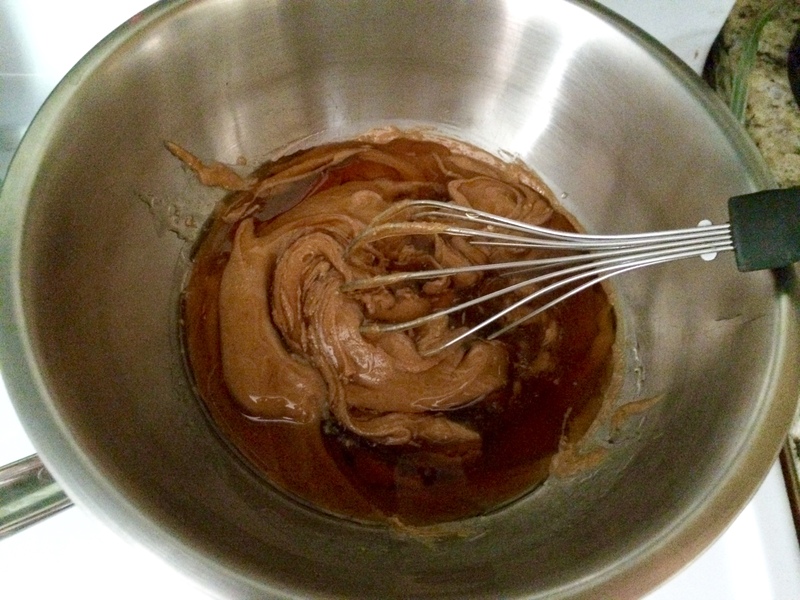 Pour in honey and whisk together. 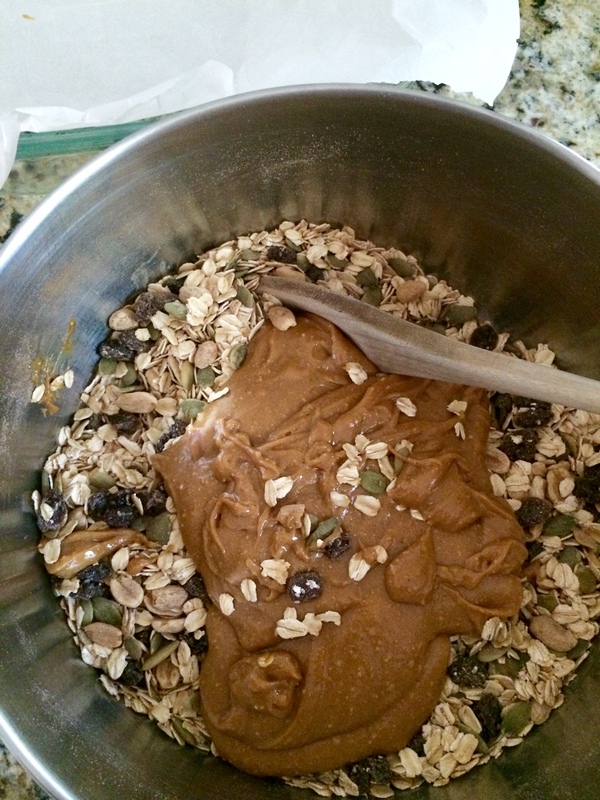 Pour into oat mixture and stir until well combined. 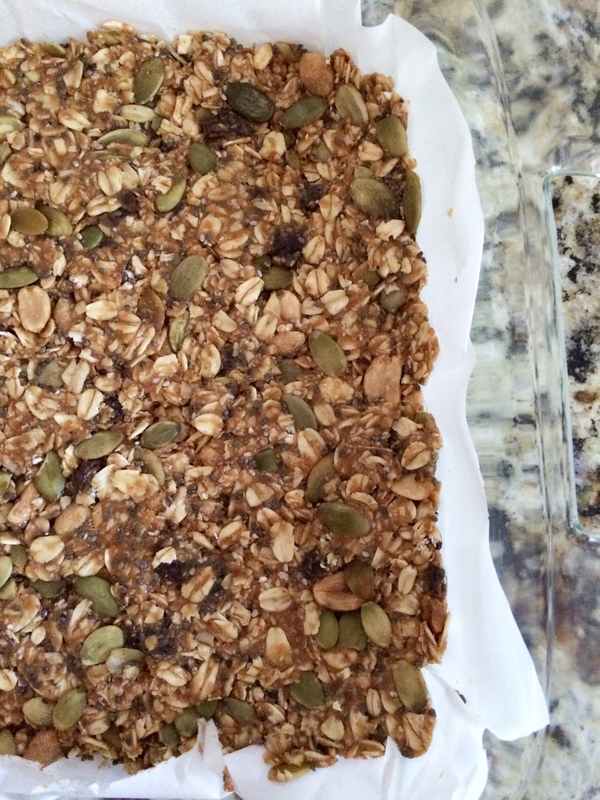 Press into an 8×8 glass baking dish lined with parchment paper. Cover with plastic wrap (preferably BPA free) and press into dish. Refrigerate at least 4 hours to let the bars set. Cut into bars and store wrapped in the refrigerator. 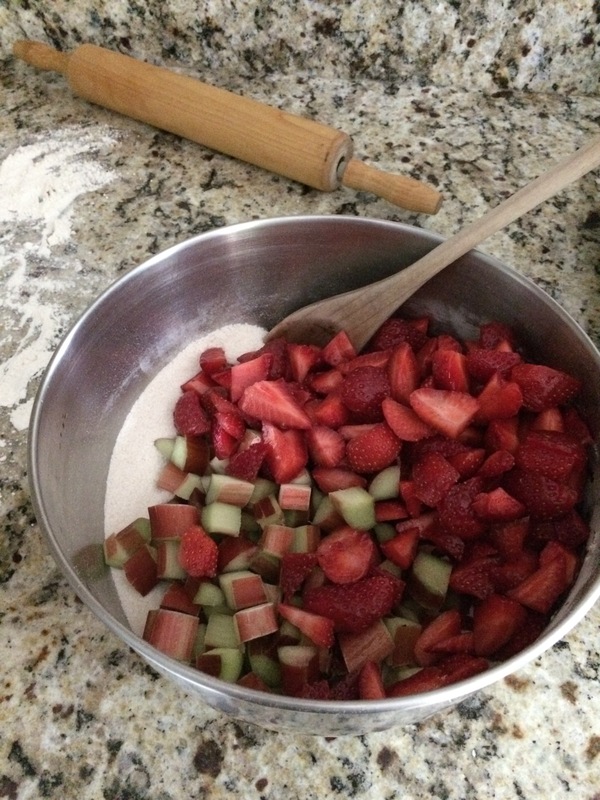 Rhubarb is one of my first food memories. I feel that I’m in an exclusive club when it comes to knowing what rhubarb is and how to use it. 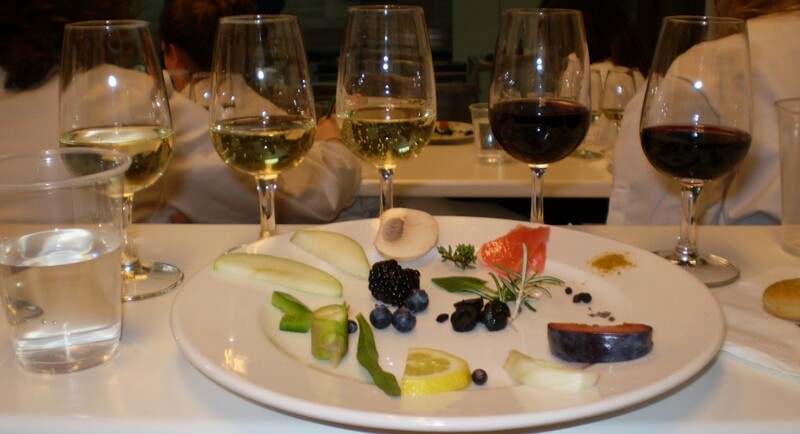 (I say this lightheartedly) I find it a privilege to have the opportunity to explain to anyone who may be interested, what the tart vegetable is which resembles celery, but gleams a vibrant pinkish-red color. These tall stalks with large green elephant ear looking leaves (don’t eat them, they’re toxic) grew next to the old, red painted shed in the backyard of the house I grew up in, in Northeast Wisconsin. I was blessed with their presence again in college, when I identified these perennial springtime plants growing in our backyard. I could always rely on finding local rhubarb to add to a berry pie, make into jam or combine with strawberries to transform into a tasty crisp. My mom was the one who introduced me to freshly made warm rhubarb jam spread across crispy saltine crackers, which is one of my fondest childhood food memories. When the rhubarb was ready to harvest, we knew warmer temperatures were on their way. 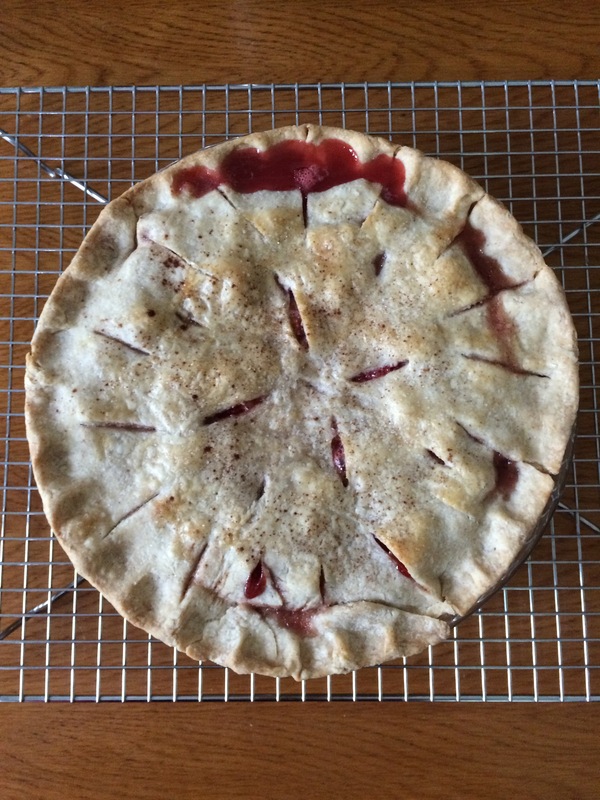 Rhubarb season would run roughly from May-June, which meant this was the first “fruit” dessert of the season. When I moved to Virginia and now North Carolina, I rely on the local grocery store to supply all the rhubarb to satisfy my annual craving. I’m on a mission to figure out a way to grow this cool weather plant myself, as I know it can be done in NC. Last summer I found a farmer who grew rhubarb in Columbus County, which is even further south. You can hold me to it…I am growing my own rhubarb and will post an article next spring to prove it! Out of all of the desserts that rhubarb can be transformed into it, my favorite, hands down, is Strawberry Rhurbarb Pie. I’ve used the same combination of recipes ever since I started making the pie in college, tweaking as I see fit. As it’s deemed my favorite springtime dessert, I needed to make it to celebrate graduation from grad school this past May. Luckily, the stalks appeared on grocery store shelves just in time. I may have been naive thinking that I was one of the only people who looked forward to this divine combination, filling the space between two flaky crusts. 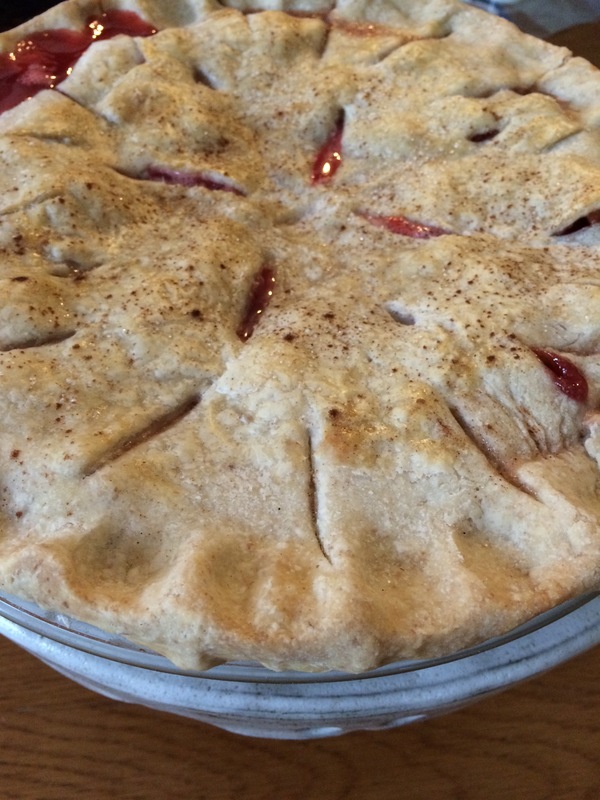 Come to find out, today, June 9th, is National Strawberry Rhubarb Pie Day. In celebration and in honor of this Northern classic that words cannot describe, I share my recipe with you. 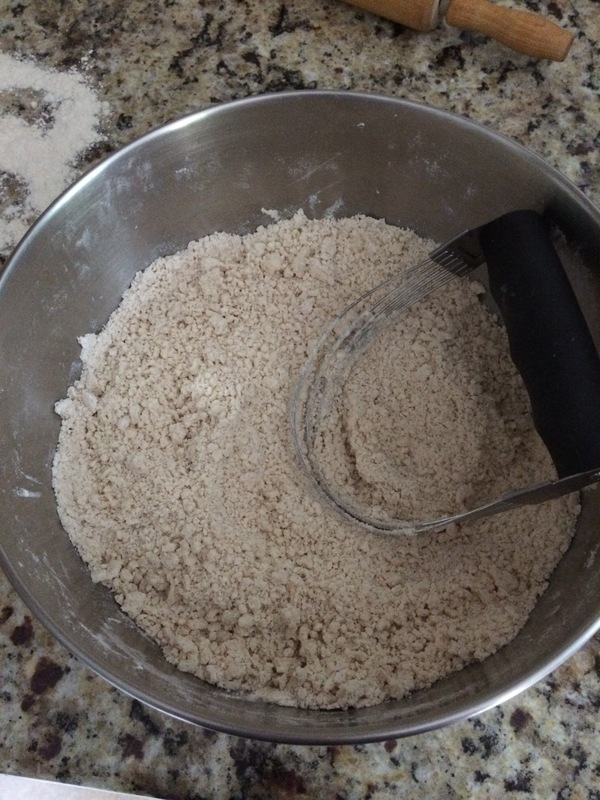 Whisk flours and salt in medium bowl until well blended. Add fat. 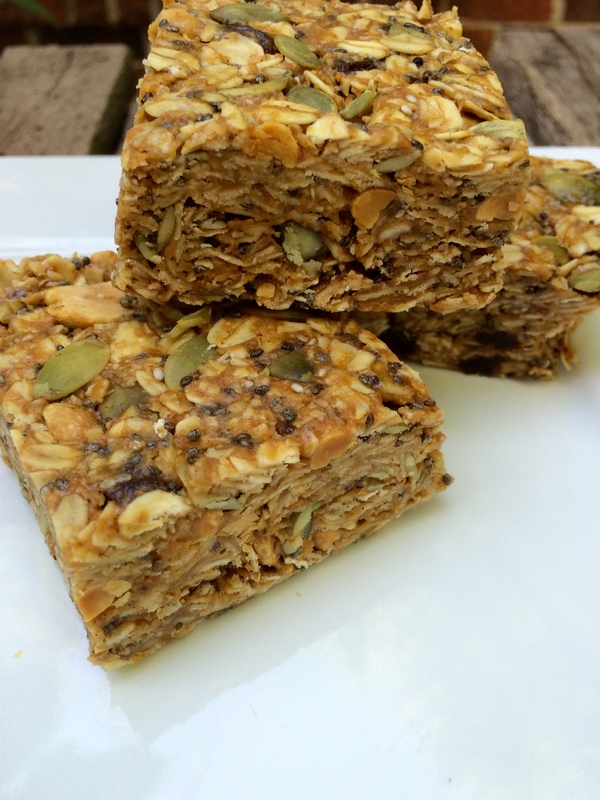 Use a pastry blender to cut in the fat until the mixture consists of “pea-size” pieces. 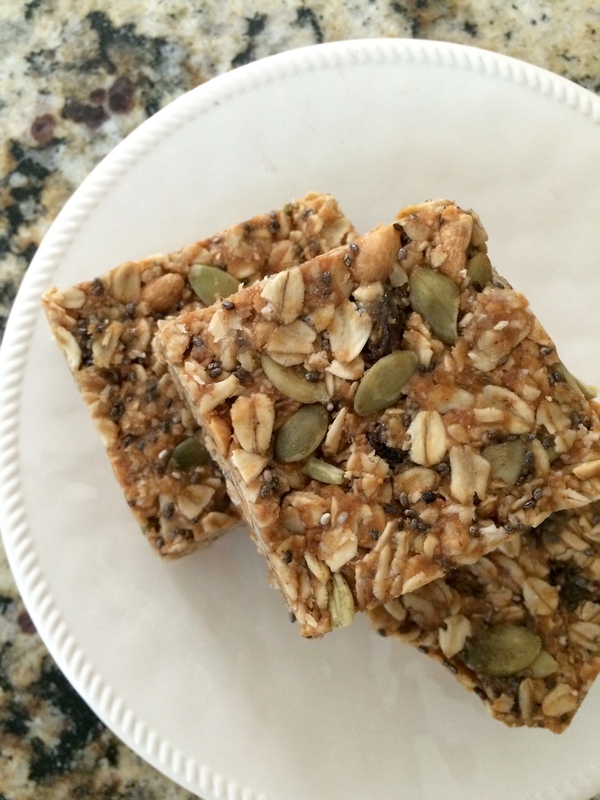 Sprinkle water over the mixture, one tablespoon at a time. 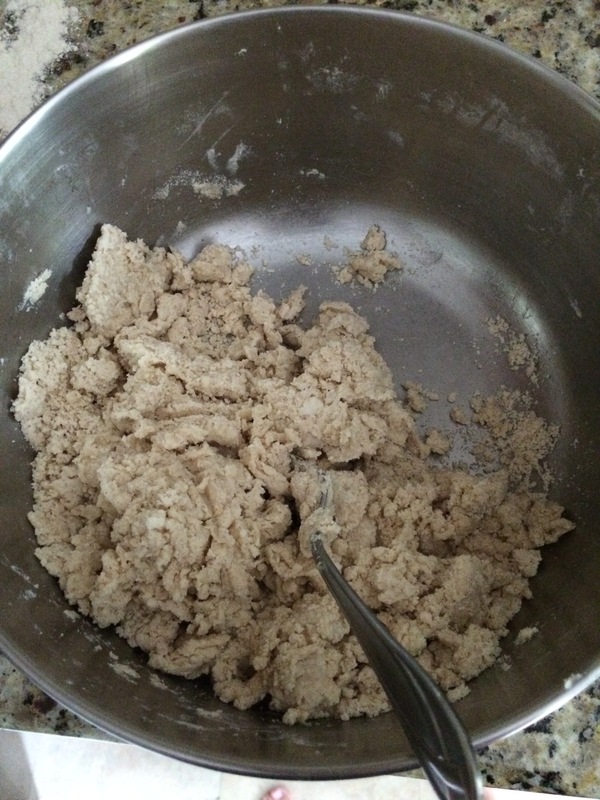 Toss with fork and press down, pushing dough to one side of the bowl. Do this until dough is moistened. 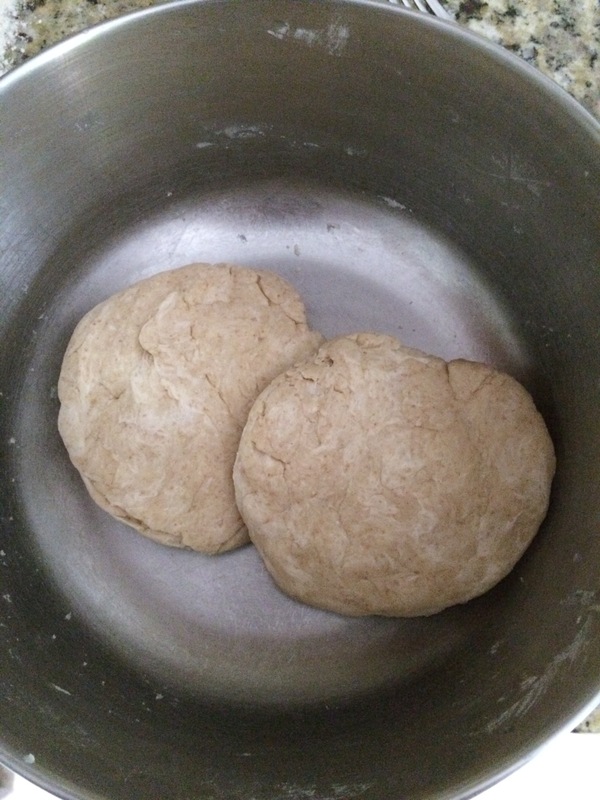 Using your hands, divide dough in half and form each half into a ball. 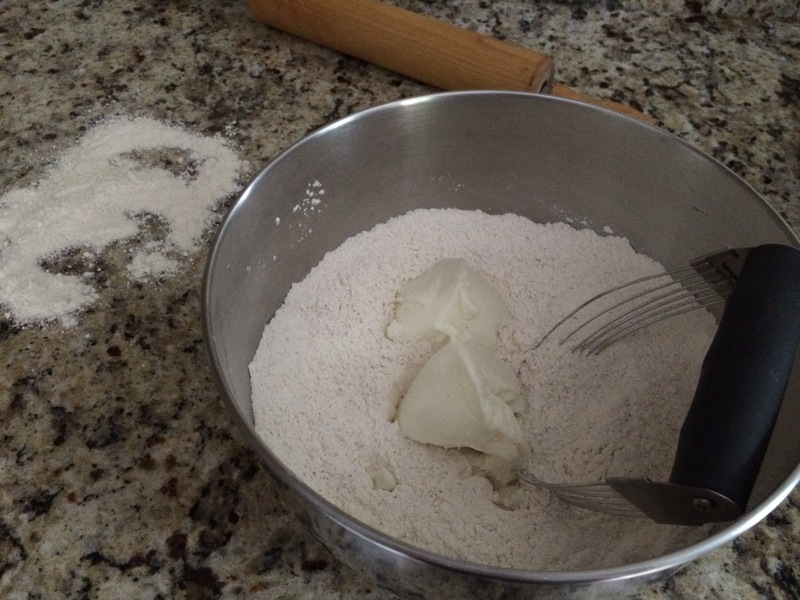 Gently press dough down on floured surface, shaping into two rounds. 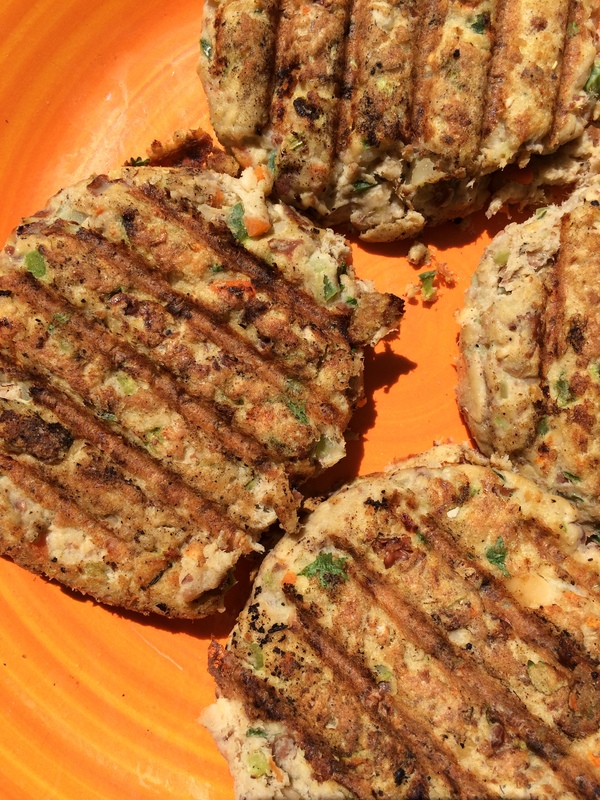 Optional: Wrap each round in plastic wrap and refrigerate for 45 minutes to firm up the dough. Using a floured rolling pin, roll out one dough round on a lightly floured surface, making the pastry about 2 inches larger than your 9-inch pie plate. 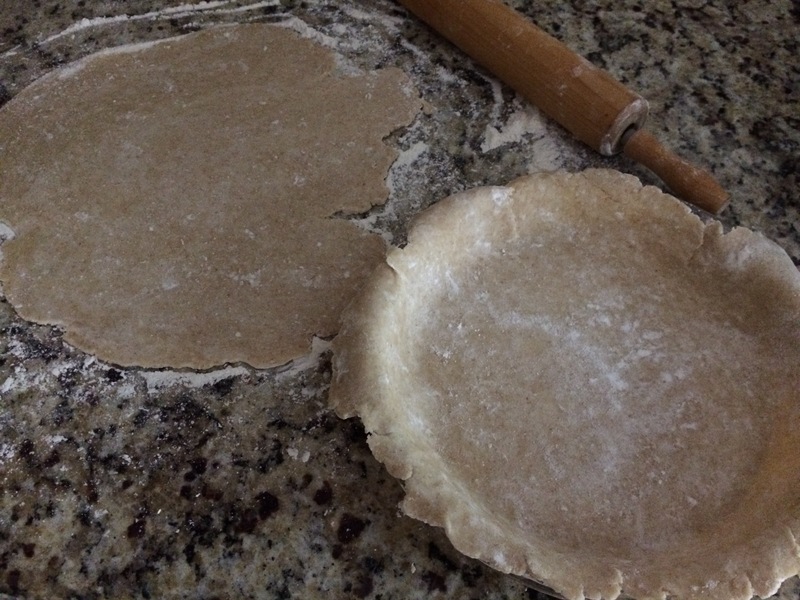 Transfer the pastry by gently rolling it around the lightly floured rolling pin and unroll in pie plate. Be careful not to stretch it. Roll out second dough round or wait to roll out until the filling has been made. Whisk sugar, flour and cinnamon together in large bowl. 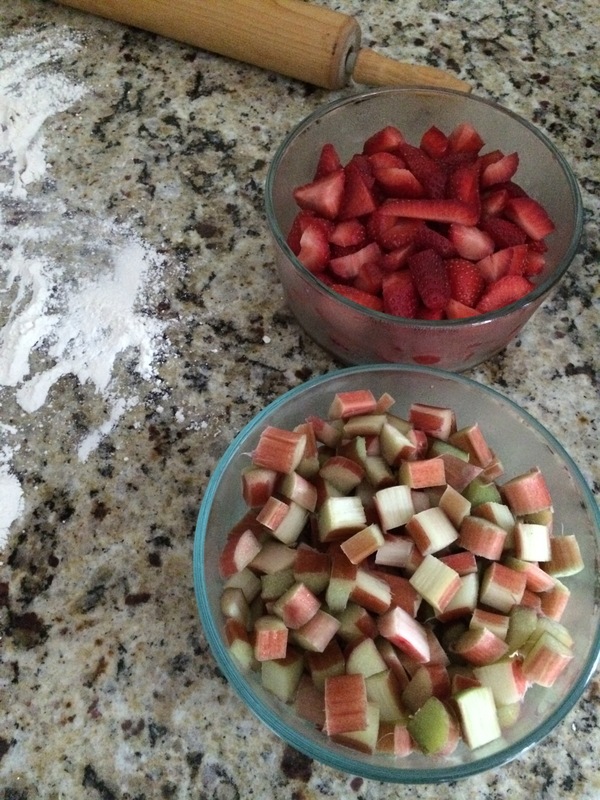 Add in rhubarb and strawberries and gently stir with wooden spoon until well combined. 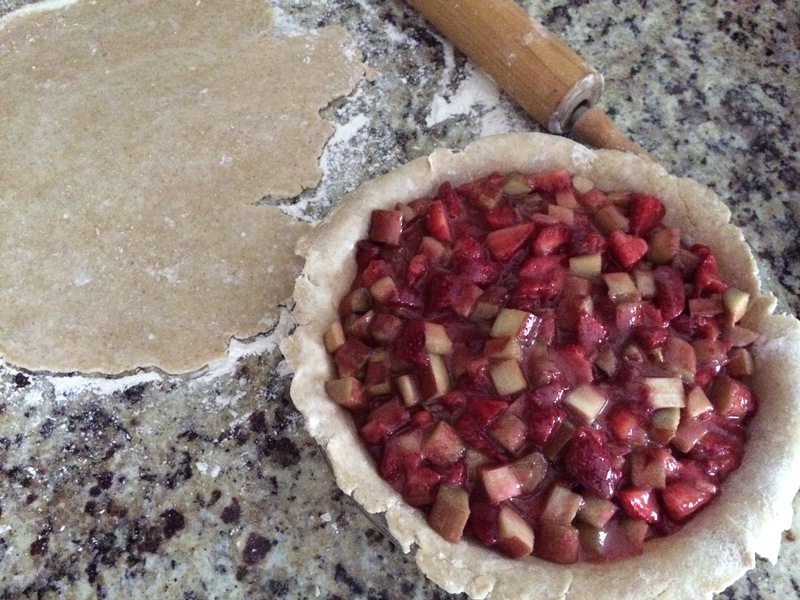 Pour filling into pie crust. Scrape bowl with spatula to make sure you don’t waste any of this nectarous fruit filling. Finish rolling out the second dough round, making it the same size as the first. Use your floured rolling pin to wrap dough around and gently fold dough in half. Fold in half again. Using a knife, make slits through all layers of dough to let steam pass through. Transfer to fruit filled pie plate and open carefully. Make sure it is aligned properly. 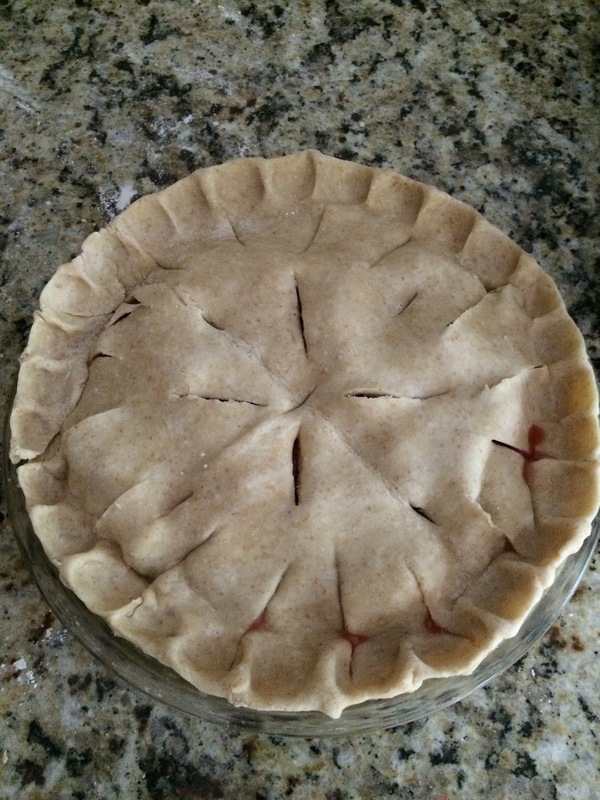 Fold top pastry over and around bottom pastry, lifting up slightly to create a crust along the rim of the pie plate. Trim excess dough if needed. 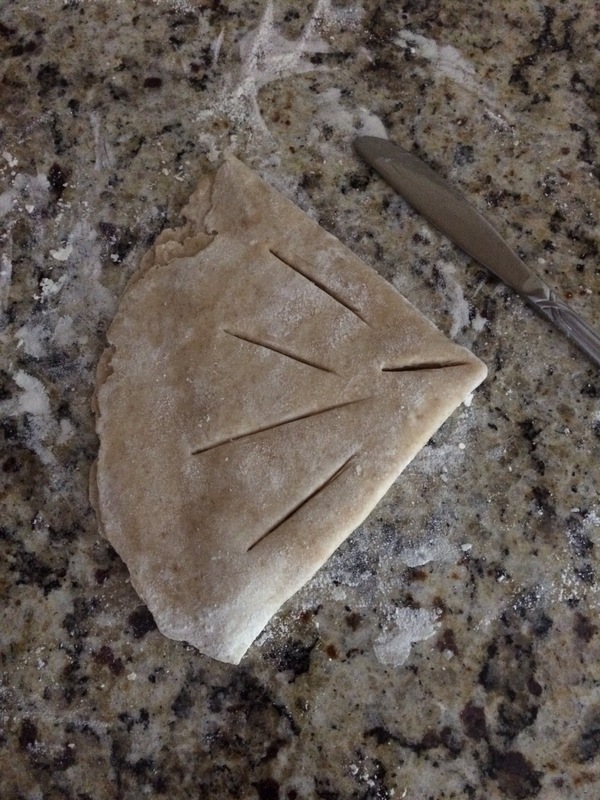 Using your thumbs, press edges together to form creases and seal the pastry. 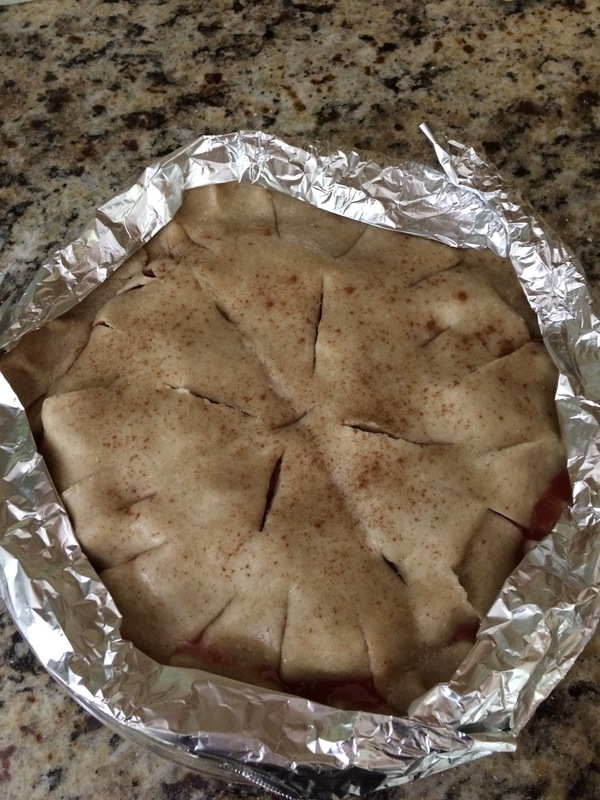 Cover crust with foil to prevent over-browning. Optional: brush top crust with egg white and sprinkle with cinnamon and/or sugar. Bake for 25 minutes, remove foil and bake another 20-30 minutes or until top pastry is golden and filling is bubbling. Let pie cool on wire rack for at least 2 hours to set before serving. Serve by itself or with a scoop of vanilla ice cream.